Planning a trip to Kenya? And wondering what time of the year is the best time to visit? Kenya is perfect to visit almost any time of the year. 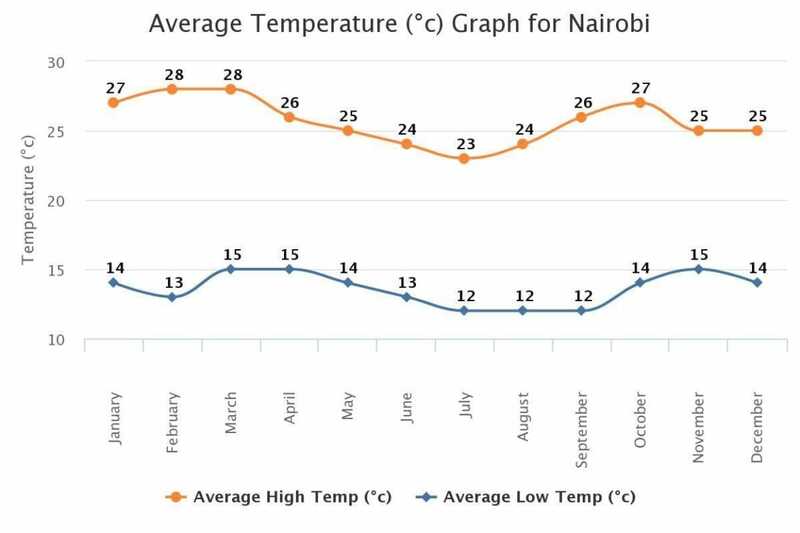 Read on to know more about the weather and climate of Kenya. Kenya is a year-round destination. However, peak season is usually from July to end September, when the Great Migration takes place in the Masai Mara. This is the best time for wildlife viewing in Kenya as the land is very dry, making it easier to spot wildlife. Water also becomes scarces, so wildlife tends to congregate around fewer watering holes. From July to mid-October is also when the Great Wildebeest Migration crosses over into the Masai Mara National Reserve from the Serengeti. There is plenty of action to view, and the weather in the Masai Mara is usually always quite temperate. The main disadvantage of this season is that the parks get quite crowded and peak season costs apply. Also, October tends to get quite hot, especially in the Northern parks, such as Samburu National Park and Meru National Park. End-October to November is when the short rains arrive in Kenya, much to the respite of the locals. Everything becomes lush and green all of a sudden. Prices drop considerably from around October to mid-December. This is the wonderful green season of Kenya, when everything is literally lush and green. It is the calving season so you will see plenty of newborn babies and wildlife (even though the grasses may be higher than the dry season). Aside from Christmas and New Year’s, costs are also lower during this season. Migratory birds make their appearance over the Kenyan skies. It rains heavily and continuously in March and April. Several camps shut down during these months and only begin operations in end-May or June. 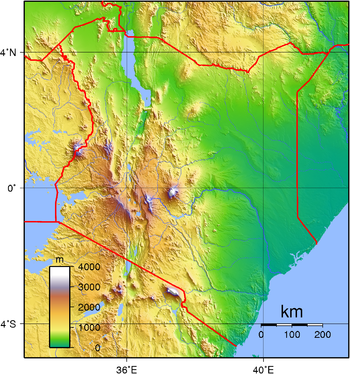 Kenya is cut in half by the equator, making it a tropical country. But the country is so varied geographically that it is hard to pin down a single climate that is representative of the entire region. In some low-lying areas, such as around Lake Victoria and along the Indian Ocean coastline, the climate is hot and humid. In the savannahs around Nairobi and western forested areas, the climate is more pleasantly temperate. 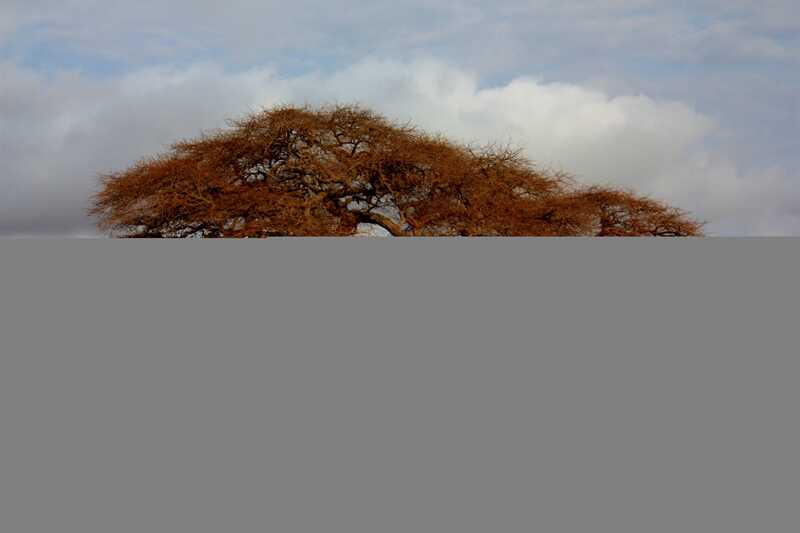 In the north near Lake Turkana and closer to the north-eastern border, the climate is hot and dry, as befits a desert. And near the southern border, where the mountains begin, the climate becomes cool again – the peak of Mt. Kenya is permanently snow-capped. 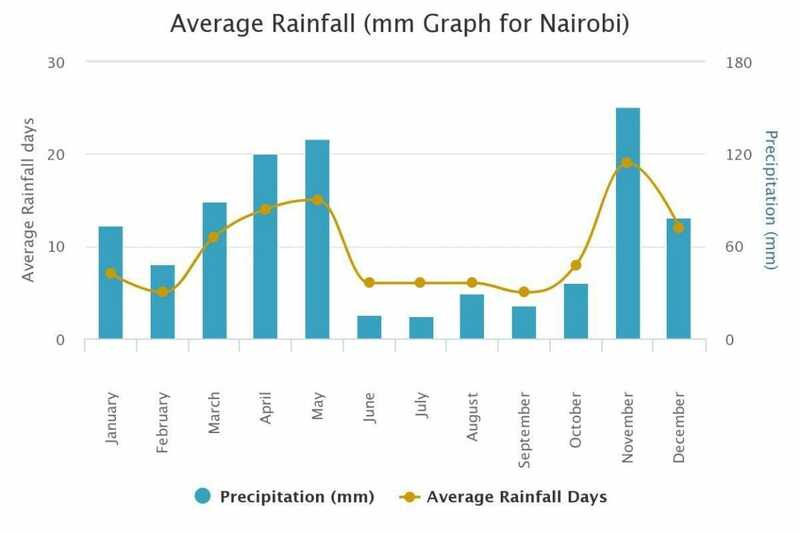 Rainy season in Kenya is divided into two: the “long rains” occur between March and May, while the “short rains” occur between October and November.